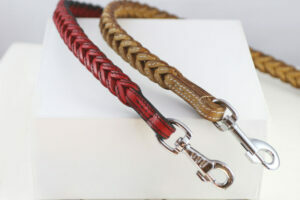 Choke dog collar and dog leash in one. 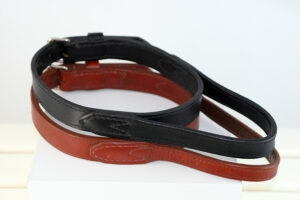 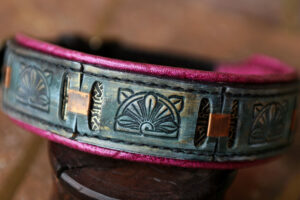 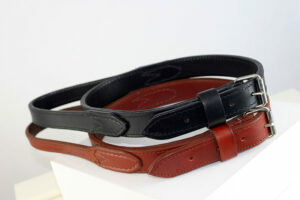 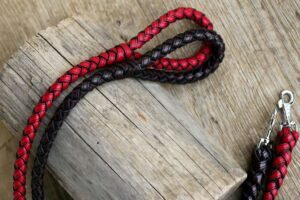 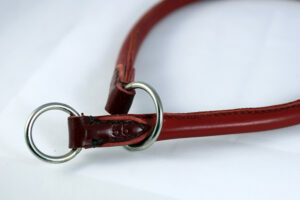 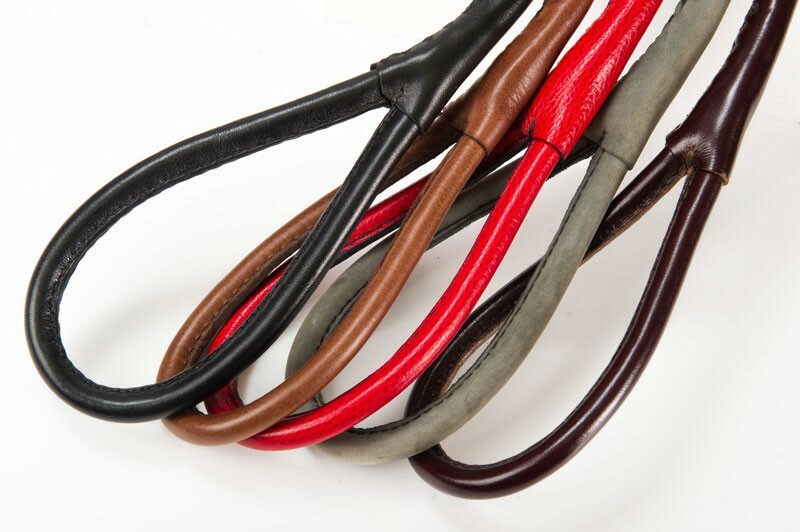 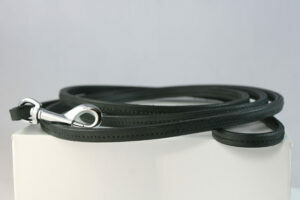 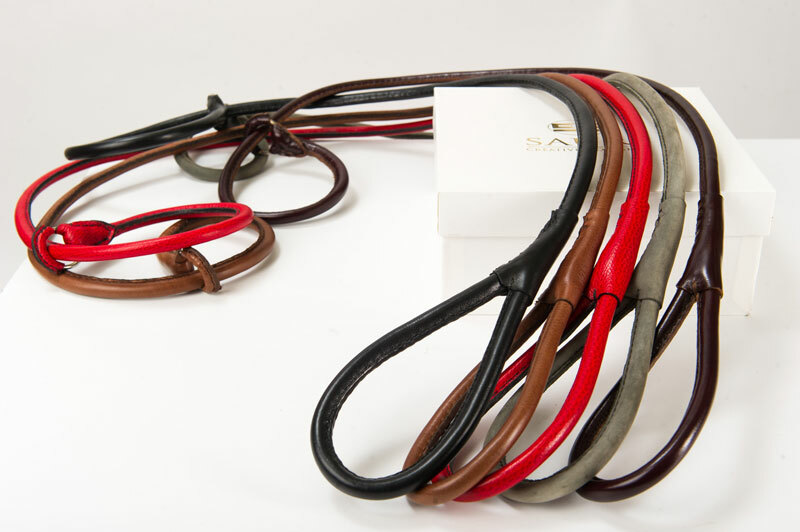 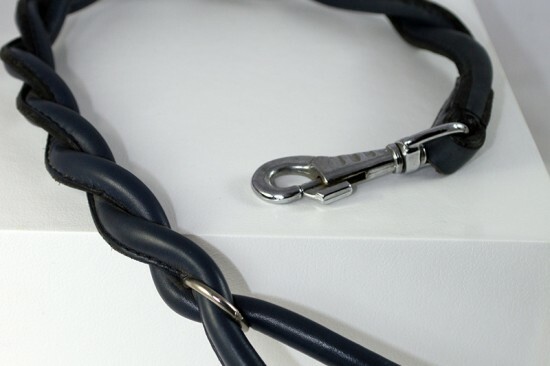 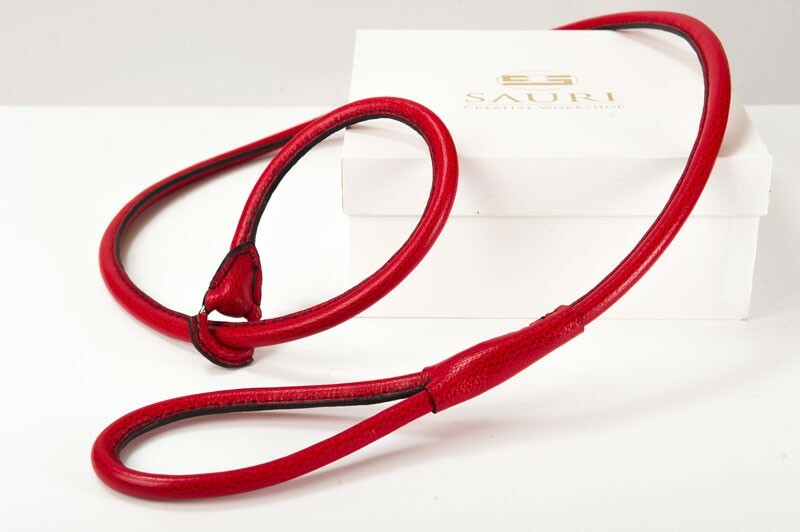 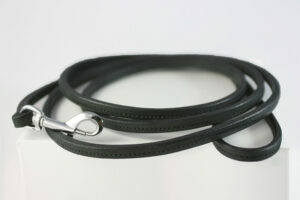 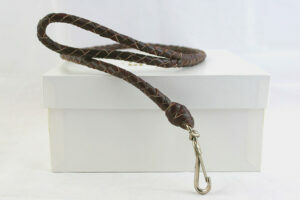 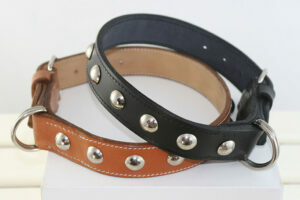 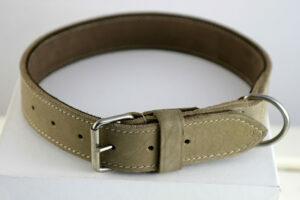 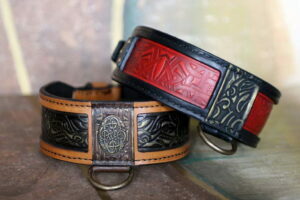 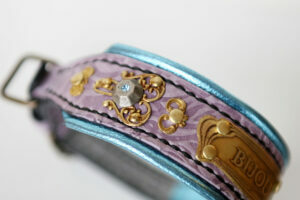 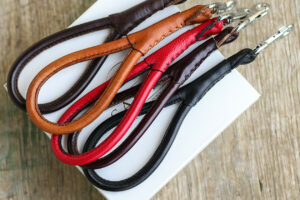 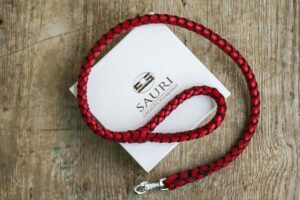 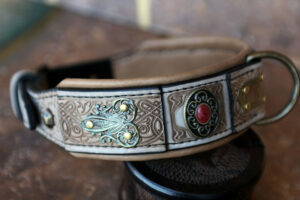 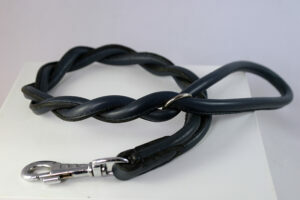 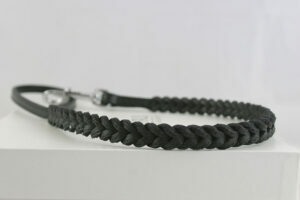 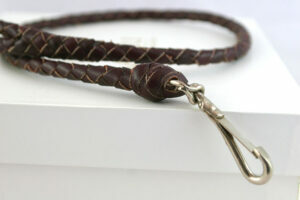 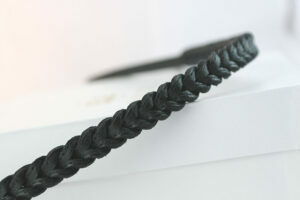 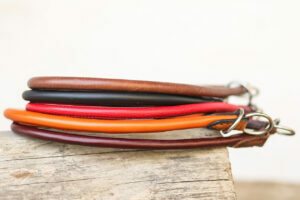 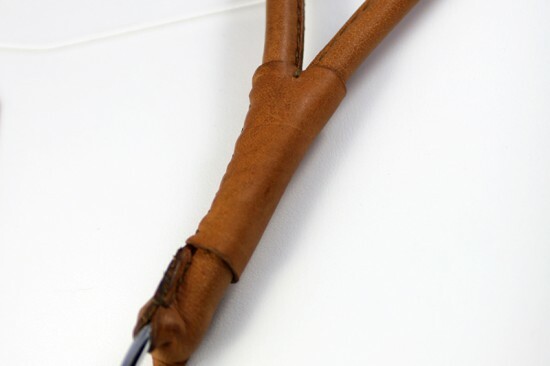 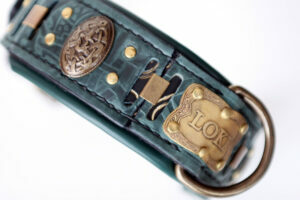 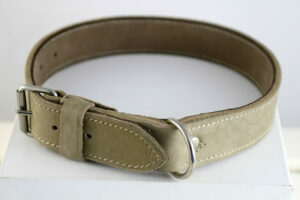 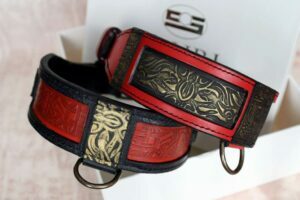 Elegant handmade leather dog leash. 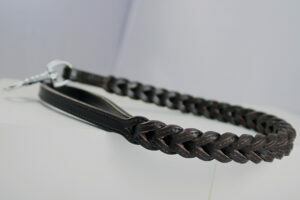 Brown color, masterly plaited.